A person is trapped following a two-car collision on Maroondah Highway, between Fernshaw and Dom Dom Saddle. Emergency services say the road will be blocked for the next few hours. A sedan and four-wheel drive collided, and the sedan slipped over an embankment. 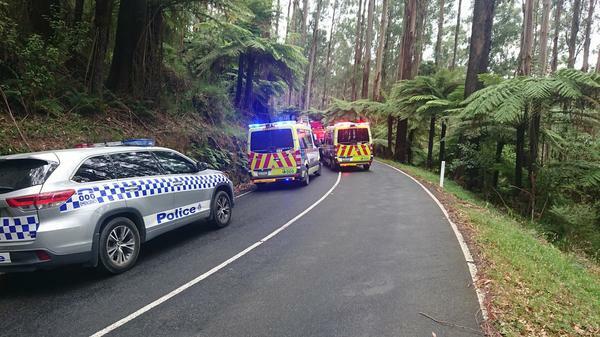 Emergency services are responding to reports of smoke emanating from a car following a crash on the Black Spur. A CFA spokesman said three firefighting appliances were at the scene on Maroondah Highway, Fernshaw, shortly before noon and another two were on the way. SES volunteers are on-scene and it’s believed police and ambulance are on the way. CFA received the call about 11.30am.